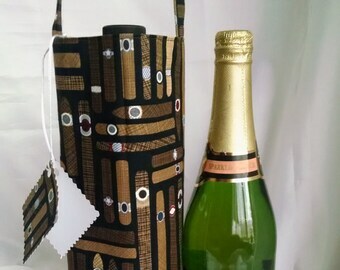 This wine tote is a great gift and a must have accessory for anyone who loves to celebrate with a glass of beer. 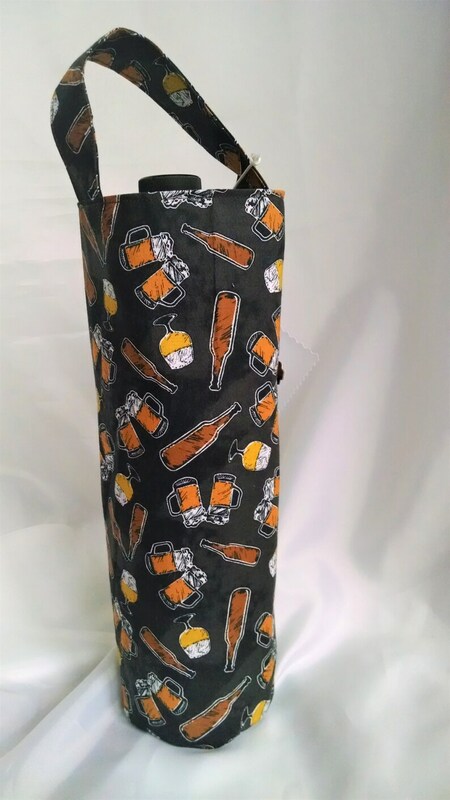 Glasses and bottles of beer decorate this bag for a fun gift to celebrate a birthday, retirement or any party. Sure to be noticed sitting on a bar by your family and friends. It could be re-gifted if you so choose, but I'm confident it won't be. 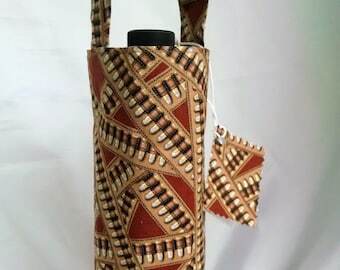 This bag is fully lined with a solid tan color of 100% cotton material and measures 12" long and 51/2" wide. It fits the standard wine bottle, and has a round flat bottom so will sit level without any bulk. A matching gift tag is included. Just wrap the top of the cover with a string or ribbon to keep items from falling out.